MOSCOW, September 4. /TASS/. The Kremlin is certain that the situation in Idlib has to be "sorted out." "It goes without saying that this problem (terrorists in Idlib) must be straightened out. We do know that the Syrian armed forces are getting ready for tackling this problem," Russian presidential spokesman Dmitry Peskov told the media. 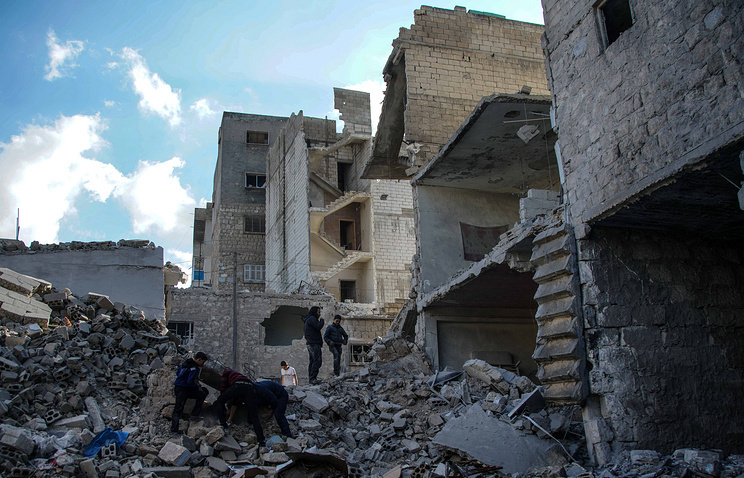 In his opinion, "making some kind of warnings without paying attention to the dangerous, negative potential (of the situation in Idlib) for the whole situation in Syria is possibly not the fullest or comprehensive approach." In this way Peskov commented on US President Donald Trump’s warning against a ‘reckless attack’ on Idlib. 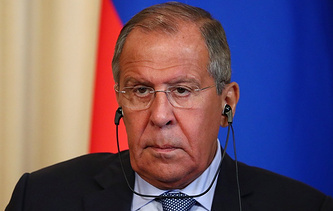 "The situation in Idlib remains a special concern for Moscow, Damascus, Ankara and Tehran. There has emerged another stronghold of terrorism. A rather large group of terrorists has entrenched itself there," Peskov said. "Certainly, this leads to general destabilization of the situation and upsets the efforts to putting the situation on the track of political and diplomatic settlement." "This poses a considerable threat - the Russian president has mentioned that - to our temporary bases there. It is from there (Idlib) that drones are launched to threaten our temporary bases [in Syria]," Peskov said. Earlier, Trump tweeted that in his opinion an attack on Idlib might result in hundreds of thousands of fatalities and it would be a major humanitarian mistake. Idlib is Syria’s sole large region remaining in the hands of illegal armed groups. In 2017, the northern de-escalation zone was created there to accommodate the militants who refused to accept reconciliation terms and lay down weapons and their families. According to the UN Secretary-General’s special envoy Staffan de Mistura, about 10,000 militants from Jabhat al-Nusra and Al-Qaeda (both outlawed in Russia) are in this area. Restoration of Damascus’s control of this province will put an end to large-scale military confrontation in Syria. 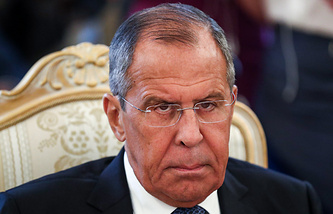 On August 30, Syrian Foreign Minister Walid Muallem said after talks with Russian Foreign Minister Sergey Lavrov that Syria would push ahead with its efforts for retaking Idlib regardless of whether Washington and its allies might deliver strikes against it on the pretext Damascus had used chemical weapons. The Russian Defense Ministry on August 25 said that militants enjoying active assistance from British secret services were plotting an operation to simulate what would be presented as the government forces’ chemical attack against civilians. The provocation is expected to serve as yet another pretext for US, British and French rocket and air strikes against government and economic facilities in Syria, the Russian Defense Ministry said.